Thomas J. Bender | Littler Mendelson P.C. Tom Bender is Littler’s co-president and co-managing director, responsible for the overall strategic direction of the firm’s U.S. and global offices. He handles the day-to-day administration and management of the firm. Since his election in 2012, Littler has grown to more than 1,500 attorneys and expanded its global operations with offices in 19 countries spanning three continents. Tom also serves on Littler’s board of directors and on the Littler Global board. He has been an instrumental part of firm management for nearly 20 years. Under his leadership, the firm has continued to be recognized as a leader in innovation earning a top ten spot on the Financial Times’ 2017 North America Innovative Lawyers Report. He has also been instrumental in advancing the firm’s diversity and inclusion efforts with Littler continuing to receive significant recognition by the media, legal industry and clients. He was a founding member of its Philadelphia office where he held the position of office managing shareholder for nine years. A Chambers-ranked attorney, Tom has more than three decades of experience representing clients in labor relations matters. Prior to his election as co-president and co-managing director, Tom’s practice focused on collective bargaining negotiations, arbitrations, organizing drives and unfair labor practice proceedings. He has also represented clients in ERISA and other benefit plan litigation arising from collectively bargained pension and health and welfare plans. 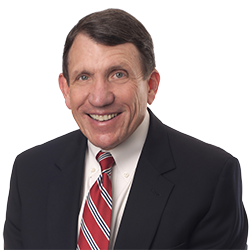 Tom has handled a wide variety of claims before the National Labor Relations Board, and federal and state courts, with particular knowledge of The National Labor Relations Act, The Employee Retirement Income Security Act, and the Labor Management Relations Act. He has represented clients in a broad range of industries, including transportation, truck manufacturing, healthcare, energy, waste management and hospitality. Tom regularly provides commentary in the business and legal media on firm management and legal industry issues and trends.